Hi. My name is Common Courtesy. Allow me to introduce myself to you. I have excellent manners and social conduct. I am polite, respectful, considerate, civil, thoughtful, cordial, tactful, and gracious. And I am sadly lacking in your society. In fact, some of you I’ve never even met. Let’s admit it, there’s a lot of truth to those words above. Take a look around you and it’s not hard to find examples of rude, crass, disrespectful behavior. We bemoan the fact that kids today seem to be bolder than ever in their disrespect. But how did it get that way? Well, it may hurt to admit it, but the problem starts with adults. Kids are only mimicking what they see around them, and adults are worse than ever in their treatment of each other. Admitting that is the first step to fixing it. But again, how did it come to this? I’ll give you the answer in one word: anonymity. We have largely become an anonymous society. We’re so connected to technology, iPhones, computers, TVs, video games, etc, that we tend to distance ourselves from real human interactions and relationships. Think about it. We sit in our living rooms and watch newscasts or interviews. We yell at the people on the TV knowing they can’t hear us. During a political debate, we yell at the candidates, “Oh, come on, you moron! Anyone who believes that is as big an idiot as you are! What a pack of lies!” Or we get on Facebook or Twitter and post snide comments about a remark one candidate made, again knowing they’re not going to read them and/or care if they do. After all, they don’t know us personally. Meanwhile, our kids are observing us the whole time. Or consider driving. Even as we drive our kids to school or practice, we provide a running commentary on other drivers, often in very colorful language. We get cut off and we swear at the other driver. We pass a slow driver and mutter, “Idiot. 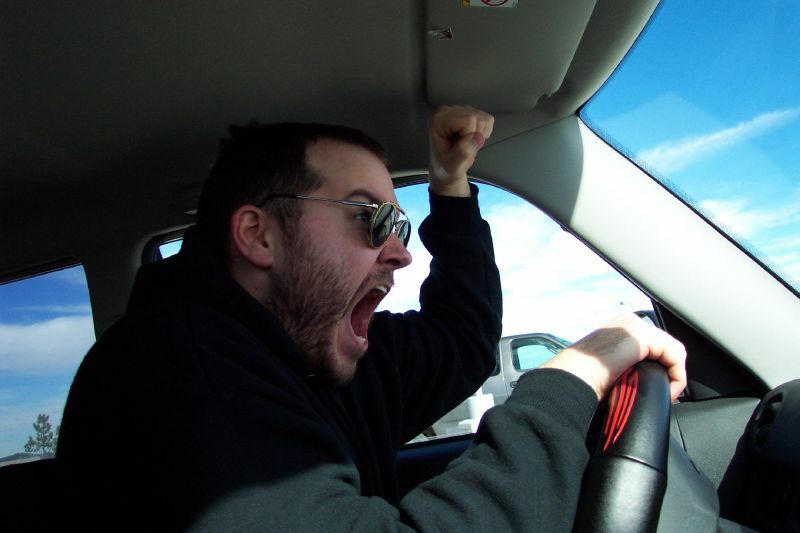 Learn how to drive, won’t you?” A car blows past us and we exclaim, “What a moron! I hope he gets into an accident, driving like that. That’ll teach him!” All the while, our children sit silently in the backseat, taking it all in. What do all of these have in common? Anonymity. We are nameless, faceless people who can easily blend into the background. We have no danger of being found out, so we are bold to say things we wouldn’t dream of saying to someone in person. Anonymity, yes. But there’s something else that the instances above have in common. Cowardice. Let’s face it. To make an anonymous comment or yell at someone in the safety of your own living room or car is cowardly. We do it because we know they’ll never hear us or figure out who we are. We can be bullies with no consequences. It’s very dangerous, folks. Make no mistake about it. We become invincible in our own minds. Just slap on a fake name and I can say whatever I want, however I want to say it! We have become a rude society because we are anonymous cowards. Depressing? Yes, it is. But take heart. We can change this. How? Well, it takes a bit of old-fashioned self control and a bit of a change in our way of thinking. Instead of insulting someone directly, focus instead on his or her actions or words. Just because that guy cut you off one time in traffic doesn’t mean he’s a complete jerk all the time. Get upset at the behavior or the words instead of at the person. So how does this play out in reality? Say you’re watching that political debate and one candidate makes a comment that you think is absurd. “Really, pal? There’s no way we’ll achieve a balanced budget with that plan! I think I’ll vote for someone who has more experience with this concept than you do.” Focus on his platform instead of calling him names. This gets you to vocalize what it really is that made you upset in the first place, and anyone who happens to overhear can tell you’re not happy, but that you have the maturity to vocalize why you’re unhappy. You don’t need to stoop to a first-grade name-calling level. Or say someone cuts you off in traffic and forces you to slam on your brakes to avoid them. “Whoa, buddy! Bad idea! You’d better be careful when you drive or you’re going to get into an accident!” Your kids in the back will learn how not to drive from the experience, but they’ll also be observing in you a much more mature way of handling it than flipping them off and swearing at them. What about the great world of the anonymous internet? Use a simple rule- if you wouldn’t say it directly to someone’s face, don’t say it online. Can you disagree with a point someone is trying to make? Certainly. It’s a free country, and you have the right to your opinions. Just be polite when voicing those, because honestly, you do yourself a great disservice by being rude or vulgar. You lose a lot of credibility by stooping to insults and name-calling. No one will take you seriously if you can’t communicate politely. Let’s take this even one step further. Take an honest look at the shows you watch, the radio stations you listen to, and the articles you read online. There are a great many shows, movies, radio stations, and internet sites that are caustic, crass, and rude. It’s very hard to listen to such things on a regular basis and not get sucked into parroting such speech. If you find this to be true in your case, turn off the TV or radio. Walk away from the computer. Actually, do it anyhow. Turn off the technology and enjoy living with those who are actually present. Take a walk with your spouse or a friend and have a real conversation with a real person. Take your kids to McDonald’s for ice cream cones and hold the door open for the person behind you. Leave your phone (gasp!) at home. Show the next generation what civility and common courtesy look like. You can do this. If we are to change the trend of rude behavior in our society, we must each start with ourselves. Thank you for allowing me to introduce myself to you. I’m so glad we had this chance to get better acquainted. I look forward to spending more time with you. You’ll find I’m very pleasant to be around, and who knows? You just may get the chance to introduce me to others who haven’t met me yet. Thank you very much for your thoughtful post. I especially like your specific ideas on how to better react to situations. Great stuff! Thanks for sharing. This was very convicting. I have work to do. Excellent, well written. This issue certainly needs to be addressed! I think so often we have become so engulfed in our own worlds because of technology that we lose sight of those around us. Just last week I was behind a van at a stop light and waited for them-and waited-and almost missed the green light. I don’t know their story but my story was waiting for them and listening to the guy behind me honk his horn. Perhaps they had a crying baby in that van? Perhaps they were texting? (Which I admit drives me bonkers.) But honestly, we need to get our empathy levels back up and perhaps we would start to remember the rest of it because we just don’t know what is behind the doors of those vans-and every other car we encounter. Thanks for this. You’re doing great! Thank you, Ruth, for this lovely posting. I am so pleased I found your blog! I have linked it on mine. Praying your Good Friday has and will continue to be meaningful.